You are here: Home / Money / Business / Money Management: Why Is It Important? (ThyBlackMan.com) Following a budget every month is something everyone should do, but not everyone is financially literate. Money management takes planning, focus, and discipline. In this article, I will tell you why money management is important and how to execute a budgeting plan to secure your financial future. The way you plan to use your money is called money management or budget Money management keeps you informed on what you can and can’t buy. For example, if you barely have enough money to pay your rent, analyzing your spending habits and cutting out expenses you don’t need will make paying your bills easier. Another example of budgeting is saving a percentage of your paycheck. If you save 10 to 20 percent of every paycheck, they will add up over time. Budgeting is all about discipline and organization. You must have self control to not waste money on frivolous items and prioritize your spending. Every cent you earn should have a place and purpose. For financial stability and freedom, a budget is absolutely necessary. The ability to keep track of your finances and spend wisely is an essential part of building long term wealth. What are the Benefits of Money Management? There is a plethora of benefits that come with managing your money. First, having a set budget keeps you out of debt or gets you out of debt. Managing your money correctly ensures that every important bill gets paid off, so you won’t need to borrow money to survive. Second, a budget allows you to always have money for emergencies and things you want. If you’re saving money out of every paycheck, you will have money set aside for anything you want. For example, if you get laid off from work, having an emergency stash of money can keep you afloat until you find another job. Third, budgeting puts you in complete control of your finances. Being able to track your spending enables you to plan for the future and set goals for yourself. For instance, if you want to buy a new car, planning and saving can make that goal easier. Fourth, budgeting helps you to understand your taxes. If you are a United States citizen, you are legally obligated to pay both federal and state taxes. How much money you pay in taxes is dependent on your income and expenses. Knowing your annual income and the amount you spend on expenses will give you a good estimate on how much you will owe in taxes each year. How do you Create an Effective Money Management Plan? You should map out a budget for 6 to 12 months. This will allow you to predict the state of your finances at the end of each month. Knowing how much money you will have to spend each month makes it easier to manage your money. You can set aside a certain amount of money for bills,savings, and other expenses. Assigning specific places for your money to go each month to go keeps your spending under control. In addition, https://www.crediful.com can answer all of your financial questions regarding mortgages, debt, credit, and more. This will help you take control of your finances by giving you helpful advice from qualified experts. Here, experts will give you the steps on how to get out of debt, help you find the right loans, find the best financial products, and teach you how to repair your credit. 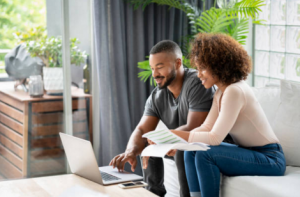 Creating a plan, getting helpful advice, and comparing financial options are the three main ingredients involved in making an effective budget. An effective budget provides you with financial stability and flexibility. Money management is critical to both your short term and long term goals. For short term goals, money management skills can ensure you can pay for vacations, cars, houses, and debt. Setting aside money from each pay period can make these goals attainable. For long term goals, budgeting can make investing in businesses or retirement easier. Also, possessing money management skills affects you both financially and mentally. Having financial freedom can improve your mood, relationships, and productiveness It is safe to say that the way you spend your money influences every aspect of your life. Who wants to willingly add stress and pressure to their daily lives? No one, but that is what you do when you spend money recklessly. Worrying about how to save money and pay bills every month is a stressful situation that can be avoided by following a set guideline on how you will utilize your funds. Anything that impacts your emotions and future should be considered important. That is why money management skills should be a high priority in everyone’s life. Save yourself the stress and properly map out where your funds go each month. Lastly, pass on financial literacy to your children, so future generations can have freedom with their finances.